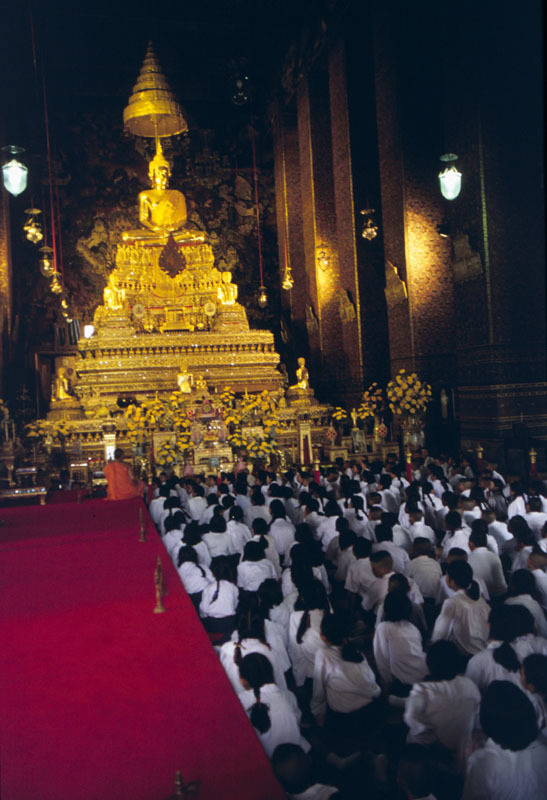 A group of school children getting a lesson from a monk in the temple. The monk had a trick with the electric candles distributed throughout the scene. He was telling a story (which I couldn't understand) and then all of a sudden the candles went off and the kids gasped. The story continued and the lights came back on and the kids gasped again. Then the candles went off again... The monk was sitting on the switch but had the kids sufficiently distracted that they didn't notice.